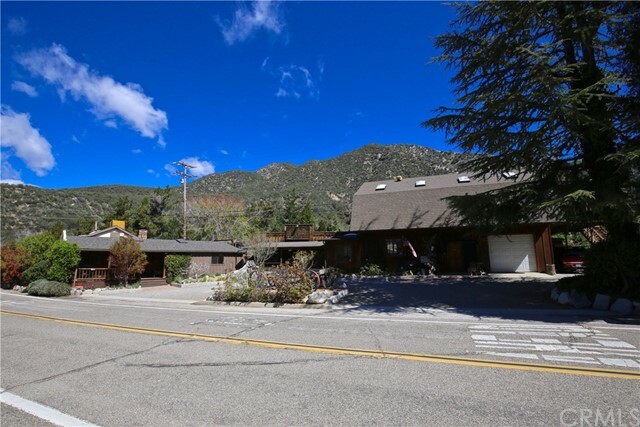 All Mountain Home Villag homes currently listed for sale in Mountain Home Villag as of 04/20/2019 are shown below. You can change the search criteria at any time by pressing the 'Change Search' button below. If you have any questions or you would like more information about any Mountain Home Villag homes for sale or other Mountain Home Villag real estate, please contact us and one of our knowledgeable Mountain Home Villag REALTORS® would be pleased to assist you. "Since 1915 IGO's has been the hub of what is now Mountain Home Village. Operating a store, restaurant, gas station and lodging. or, for the past several decades conducting a successful professional photographic business plus 2 income units on 1.228 acre with 122' of nearby creek frontage. Spacious main home offers 3-5 bedrooms, great room w/fireplace, dining area, large island and plenty of storage plus huge walk-in pantry, 2 full baths, office/den, family room, sunny southern exposure and covered/open patio area in fenced, private rear yard. Fully finished 1020 sqft detached photo/art studio has 1/2 bath and 1 car garage/shooting room. Adjacent 857 sqft studio apt/guest house with full bath. Tall peaked ceiling 1000 sqft 1 bedroom unit above photo studio with full bath, large patio/deck and easy access to parking and fruit orchard. RV Parking with hook-ups. From the peaceful and fully landscaped meadow take a short stroll down to private Mountain Home Creek. Enjoy the adjacent nature preserve across the street or simply view in awe the 10,600' peak of nearby Mt. San Bernardino. Hike or mountain bike close by Mountain Home Creek Road or follow Mill Creek down to nearby Thurman Flats Picnic Grounds and rappel the boulders. Corner location on Hwy 38 and Old Mill Creek Road provides easy vehicular access to all parts of the property including the 1921 Model T Truck included in sale."